Summary: Immune system activation that occurs as result of infection shortly after birth can cause persistent sleep pattern changes and neurodevelopmental disorders, a new study reveals. McLean Hospital neuroscientists have found that even a brief episode of immune system activation within days of birth can cause persistent changes in sleep patterns concurrent with increases in epilepsy-like brain activity—a combination of symptoms common in autism spectrum disorder (ASD) and other developmental conditions. The detailed findings are available in the January 12, 2018 issue of Neuropsychopharmacology. 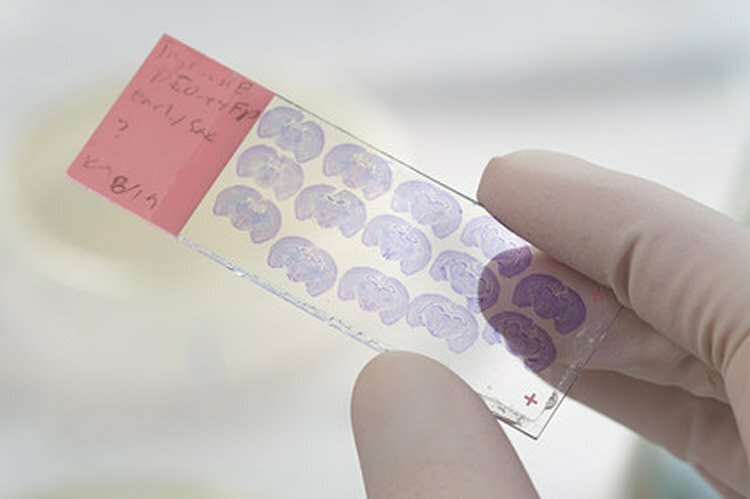 Researchers at McLean use cutting-edge approaches and technology to maximize discovery and accelerate translation of findings NeuroscienceNews.com image is credited to McLean Hospital. Image Source: NeuroscienceNews.com image is credited to McLean Hospital. McLean Hospital “Immune System Activation in Newborns May Affect Developing Brain.” NeuroscienceNews. NeuroscienceNews, 13 January 2018. McLean Hospital “Immune System Activation in Newborns May Affect Developing Brain.” http://neurosciencenews.com/immune-activation-brain-development-8309/ (accessed January 13, 2018). Increasing evidence suggests a role for inflammation in neuropsychiatric conditions, including autism spectrum disorder (ASD). Previous work in rodents has established that immune activation during critical developmental periods can cause phenotypes that reproduce core features of ASD, including decreased social interaction, aberrant communication, and increased repetitive behavior. In humans, ASD is frequently associated with comorbid medical conditions including sleep disorders, motor hyperactivity, and seizures. Here we use a ‘two-hit’ immune-activation paradigm to determine whether perinatal immune activation can also produce these comorbid features in mice. In this paradigm, we treated timed-pregnant mice with polyinosinic:polycytidylic acid (Poly I:C), which simulates a viral infection, on gestational day 12.5 according to an established maternal immune activation regimen. A subset of the offspring also received a second ‘hit’ of lipopolysaccharide (LPS), which simulates a bacterial infection, on postnatal day 9. At 6 weeks of age, mice were implanted with wireless telemetry transmitters that enabled continuous measurements of electroencephalography (EEG), electromyography (EMG), locomotor activity, and subcutaneous temperature. Effects at 7 and 12 weeks of age were compared. Both prenatal Poly I:C and postnatal LPS produced changes in locomotor activity and temperature patterns, increases in slow-wave sleep, and shifts in EEG spectral power, several of which persisted at 12 weeks of age. Postnatal LPS also produced persistent increases in spontaneous bursts of epileptiform activity (spike-wave discharges) that occurred predominantly during sleep. Our findings demonstrate that early-life immune activation can lead to long-lasting physiologic perturbations that resemble medical comorbidities often seen in ASD and other neuropsychiatric conditions.